We have an important update about JIRA Integration which will affect your workflow and connection. 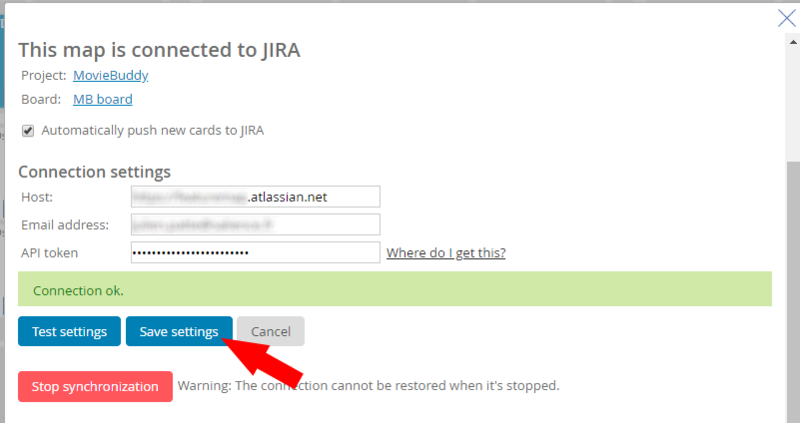 You should take action now to re-enable your connection to JIRA. Earlier in the year Atlassian announced an upcoming change in the way usernames work in JIRA and third party applications. Today 17/4/2019 the support for usernames was removed and now requires a API Token to connect to your FeatureMap. 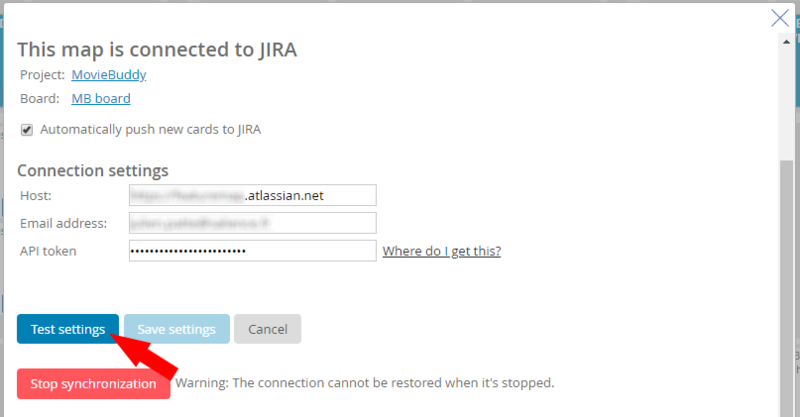 From today FeatureMap will NOT connect to JIRA using the old username and password. 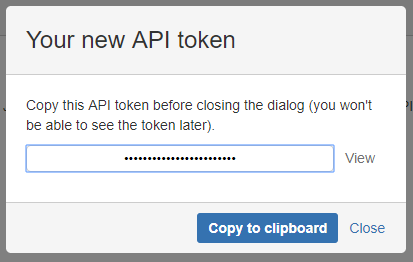 This will disable automatic sync and a new Token will need to be generated to continue using JIRA integration. The new API tokens offer more security and can be revoked at anytime. An active token is required for synchronization. From the dialog that appears, enter a memorable and concise Label for your token and click Create. If the window now says “Connection ok“, click “Save settings“. It’s as easy as that and you are good to go! When it comes to backlogs it can be overwhelming, difficult to grasp where we should go, or what we should prioritise. At times projects are entirely sidetracked by mismanagement of priorities. To solve these situations a Story Map can be utilised to reduce the backlog, refocus the project and remind the entire team of the end goal. When designing a Story Map you must look at the bigger picture. It is often sensible to set aside a period of time (hours or days) to effectively cover the vision. You will need to set out the goals of the entire product, the ideals, the dreams, think big. 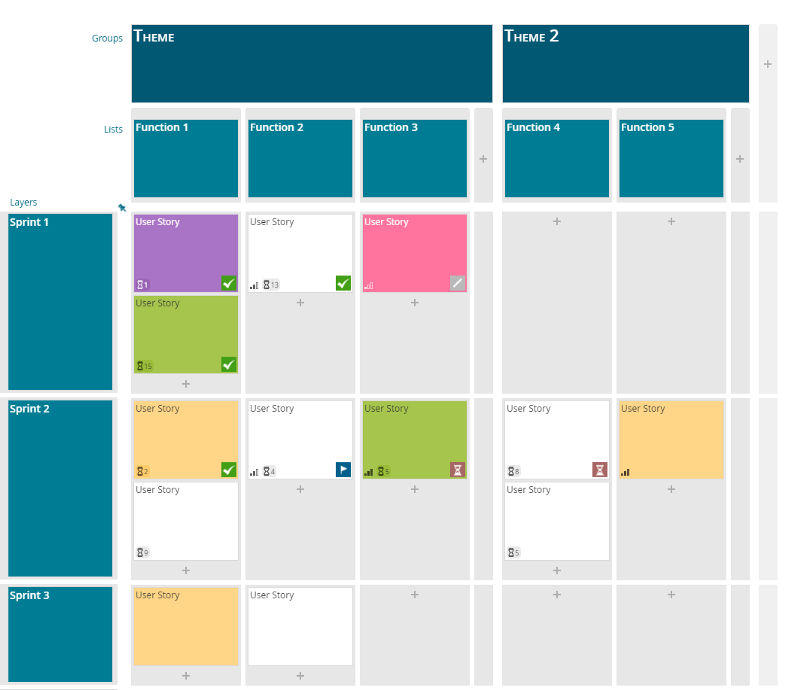 To best utilise Story Mapping is the big picture, not just a sprint. Do not fall into the trap of a niche narrow sprint at this stage. First write out the user stories by setting out functions. 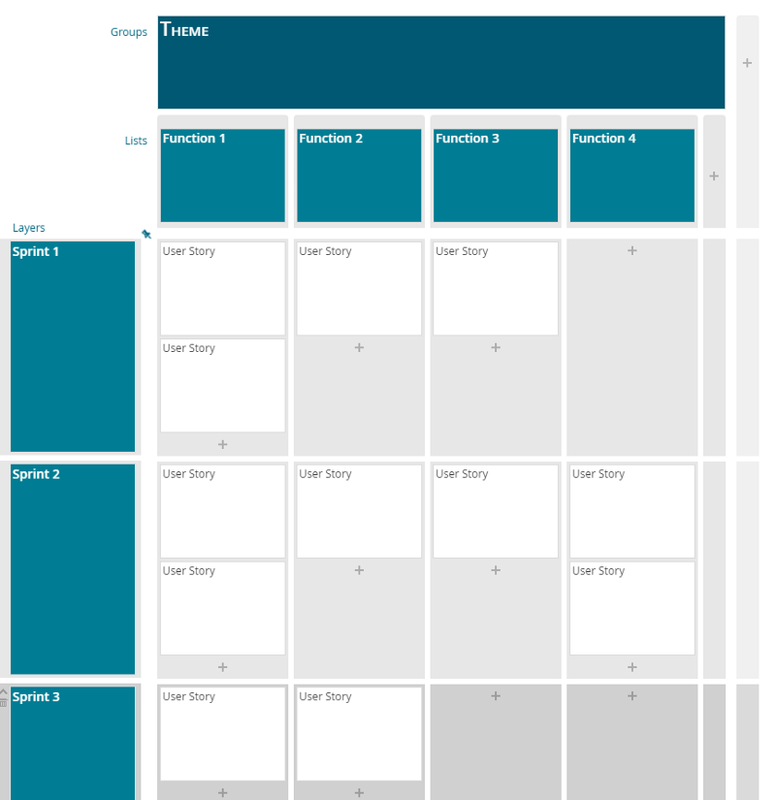 Step 1 — Functions and user stories set out in a grid. 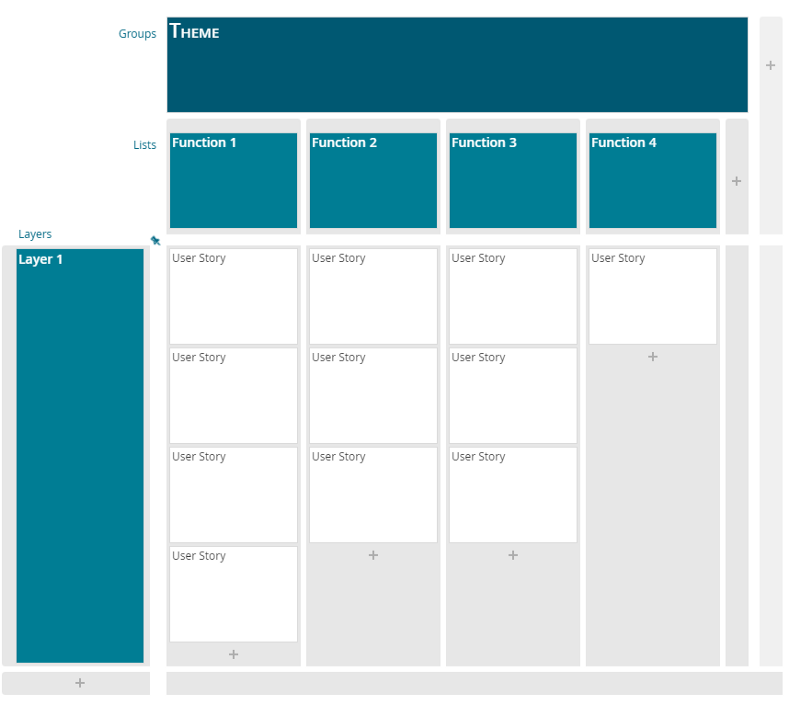 Horizontally, set out the title and set the user story under each function. Vertically, set out the main stories or issues related to each other. At this stage you can then prioritise importance from left to right, and from up to down. This creates a format of the top left card, being the most important. Once the stories are organised into groups and themes. You can start with slicing the list into sprints of what is the Minimum Viable Spec, or as Jeff Patton puts it — “The minimium viable product in the smallest product releaes that successfully achieves its desired outcomes”. Step 2 — You can see the sprints have seperated, clearly, what functions are required in each layer. You can set sprints into what you need to achieve. The trick of utilising story mapping is by setting out the entire dream product, then breaking your product/project into sections of achievable, working, and required sprints. Do remember, the story map is not a static beast, it can be adjusted, amended with feedback, changed and adapted to suit the needs of each sprint. With multiple team members working on it, as a team you can start to see the end goal, the ideal product and when working as a group you will be able to clearly define what each of you need. Too often I see teams all have an idea in their head turn out to be all differing versions. Use colours to set a custom identifier, such as challenge or complexity. The use of a story map will grow with each iteration, and with each demand. Step 3 — Expanded map with colours, rags, and time estimations. One thing is to ensure you are always planning the entire project, clearing backlog and not focusing on individual sprints.